Ars Nova Workshop is pleased to present the Philadelphia return of Xylouris White, the duo of Greek lute player and singer Georgios Xylouris and Australian drummer Jim White of the Dirty Three. Xylouris White is firmly rooted in the past and future. Playing Cretan music of original and traditional composition, the band consists of Georgios Xylouris on Cretan laouto and vocals and Jim White on drum kit. 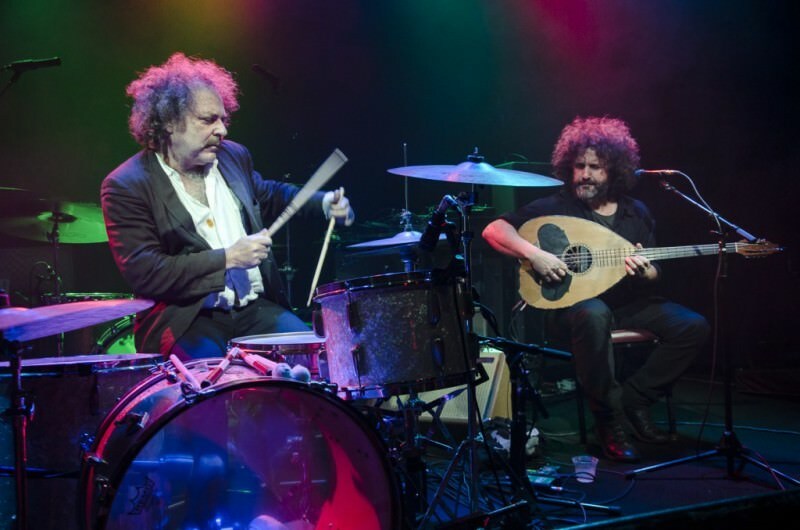 Xylouris has been playing professionally from the age of 12, while White is a renowned drummer renowned for his work with the Dirty Three and Venom P Stinger. Formed four years ago, their duo is the culmination of 25 years of friendship forged through music and place. If the talents of singer and lute player George Xylouris seem otherworldly, even god-given, it is hardly surprising. One of the best-loved artists on Crete, the largest and most populous of the Greek islands, Xylouris is a member of a clan long regarded throughout Greece as musical royalty, a clan that hails from Anogeia, a mountain shepherding village down the hill from the Cave of Zeus, that hotspot of ancient mythology. 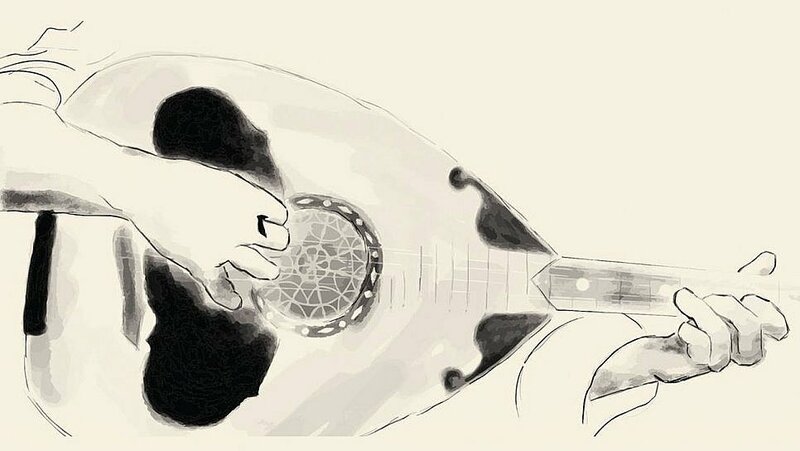 To hear Xylouris play his long-necked laouto and sing songs of love and liberty in his impassioned, distinctive voice, is to experience tradition at its finest; tradition that this bearded father-of-three grants respec, and crafts into something unique. Xylouris could not have been anything else but a musician: his father is the Cretan singer and lyra player Psarantonis, a man beloved of everyone from ethnomusicologists to Nick Cave. His late uncle was the iconic Nikos Xylouris, a singer and lyra player who became a symbol of the protest movement that brought down the Greek military junta in 1973. There are drummers and there are drummers – and then there is Jim White. Having first commanded international attention in the mid-1990s with the acclaimed Australian instrumental trio Dirty Three, the New York-based virtuoso is now the go-to guy for alt-A-list vocalists with collaboration in mind. 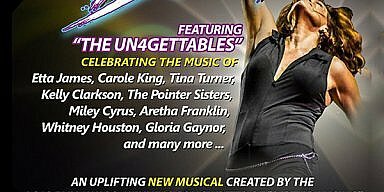 Those who’ve worked with him – and all those he’s mesmerized as he plays – testify to his deft way with a rhythm, a downbeat, a jazz-fuelled wig out. PJ Harvey has said there is ballet in White’s light, precise touch. Will Oldham once remarked on White’s ability to dismantle a song, bit by bit, and rebuild it with his parts incorporated. The likes of Smog, Nick Cave, White Magic, Bonnie Prince Billy and Cat Power all know that there’s more to White’s drumming than mere accompaniment. His intuitive beats and singular approach have complimented the repertoire of the iconic Cretan lyra player, Psarantonis, and created sparks in his collaborations with the Cretan lute player George Xylouris.